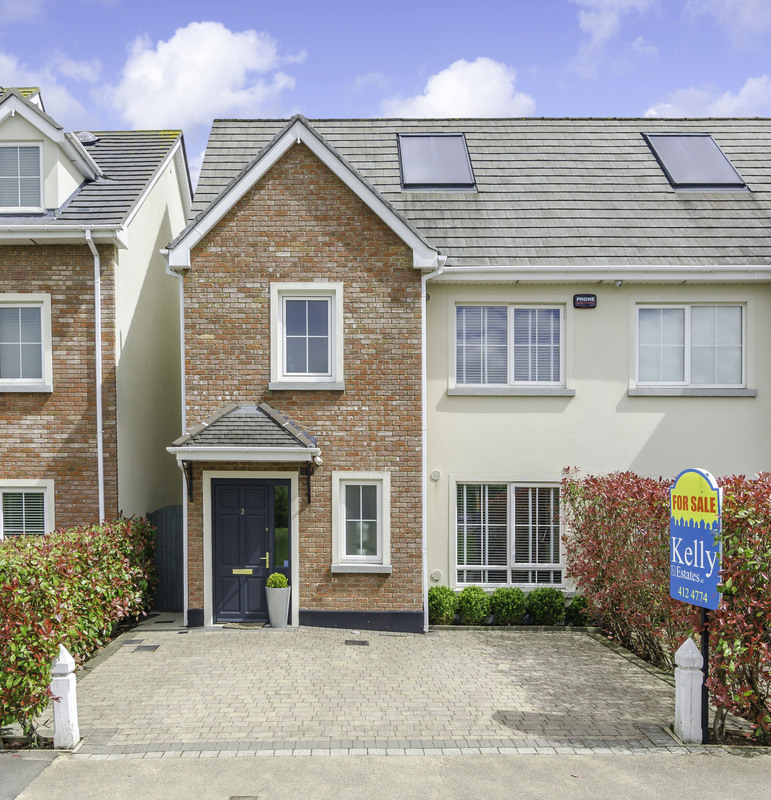 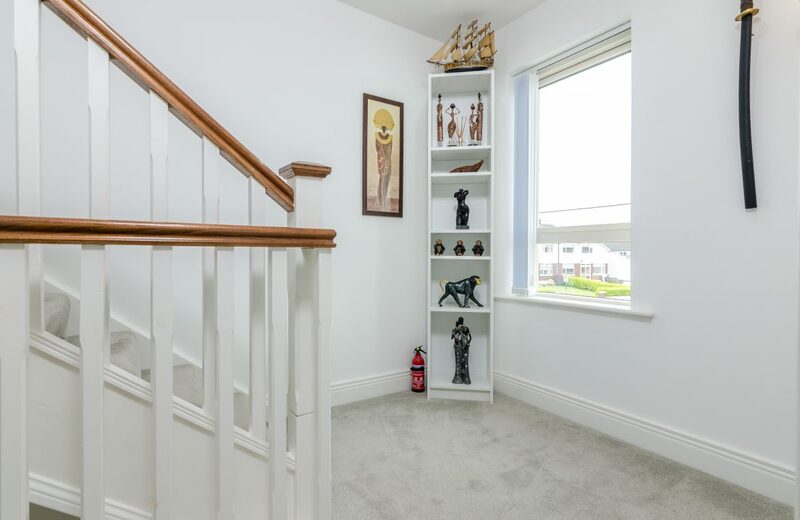 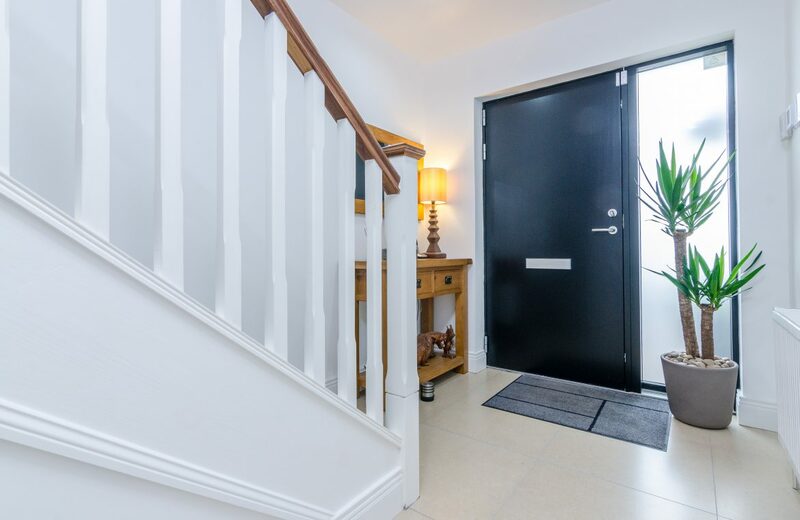 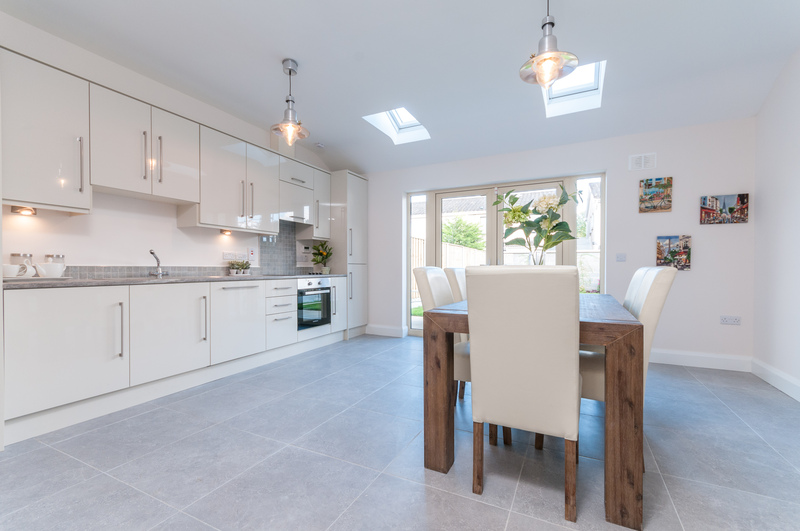 KELLY ESTATES & LETTING AGENTS are delighted to offer this NEWLY BUILT in 2017, A rated modern home in PRISTINE condition four bedroom, four bathroom semi detached home, that comes to the market in IMMACULATE & IMPECCABLE CONDITION THROUGHOUT. 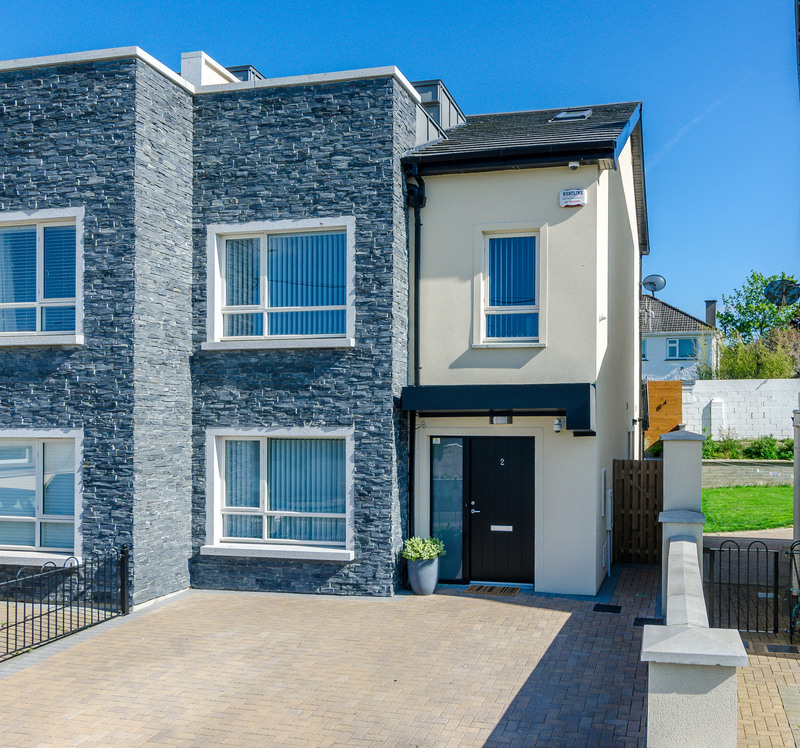 The accommodation comprises of a large hall leading to the living room which is cabled for Dolby Atmos with ceiling speakers included, the large contemporary fitted kitchen with Siemens induction hob, Bosch washing machine and Bosch drier, Integrated fridge, dishwasher and separate freezer & dining area, a seperate utility room, guest w.c & a cloakroom for maximum storage. 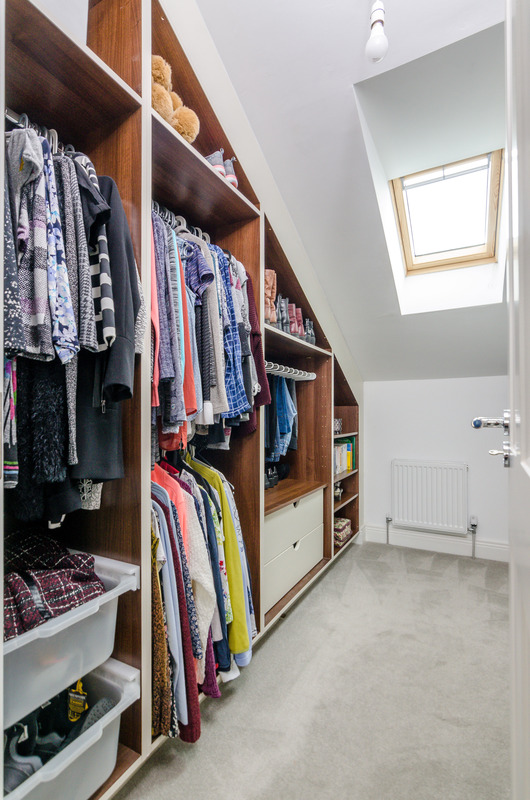 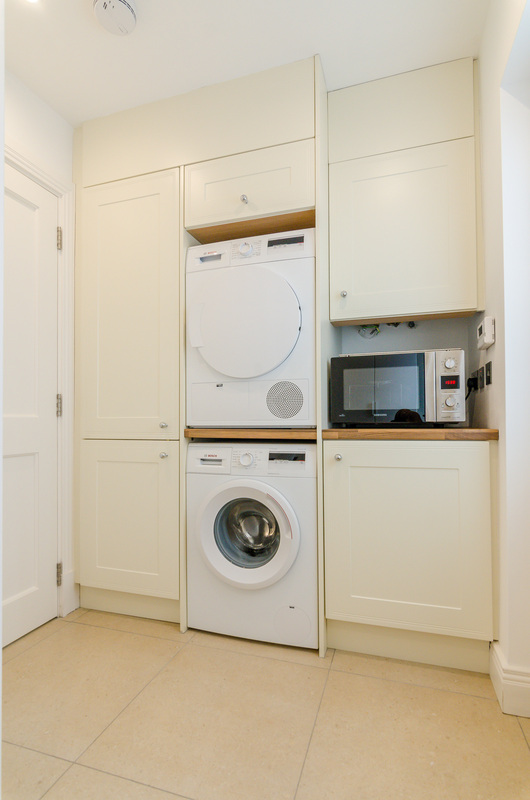 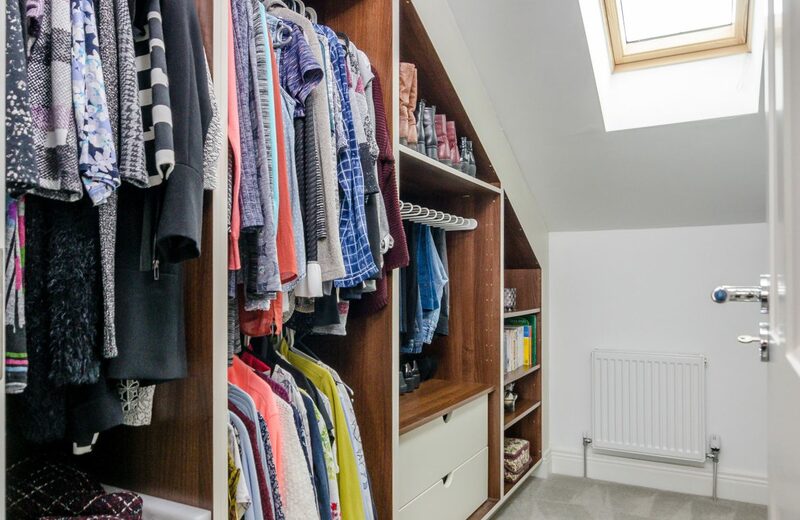 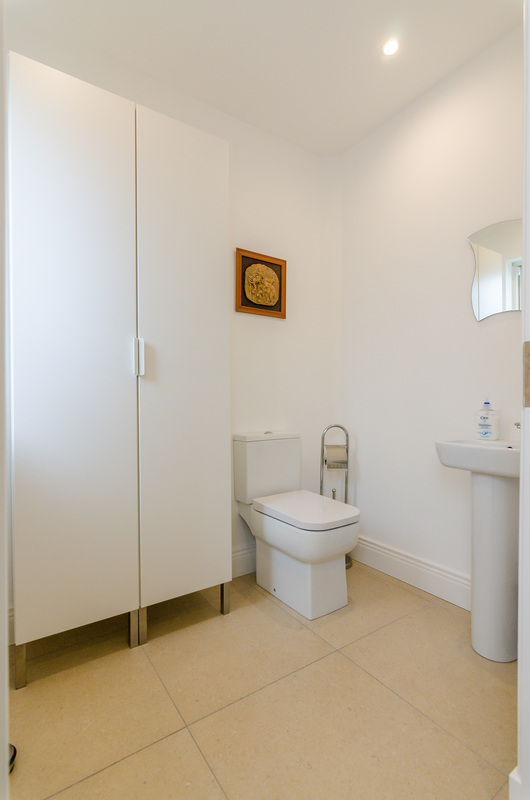 The first floor consists of three bedrooms with fitted wardrobes from Bedroom Elegance and a main family bathroom. 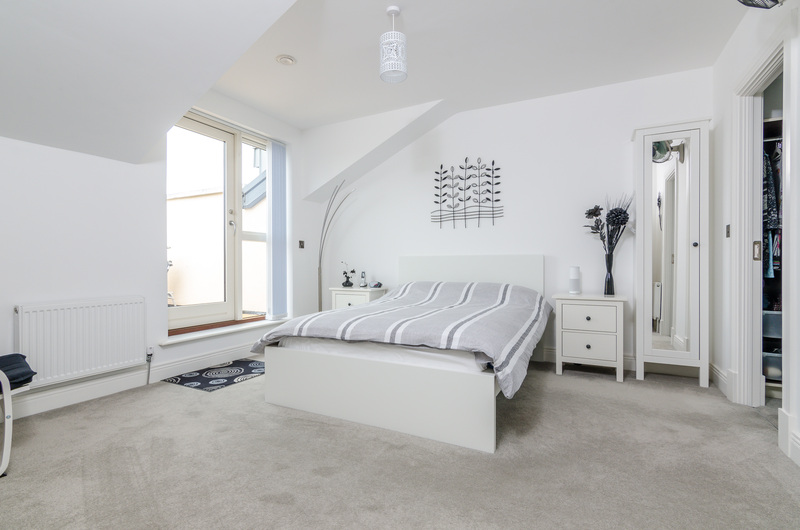 The top floor consists of a large Master bedroom with walk in wardrobe, ensuite and large balcony. 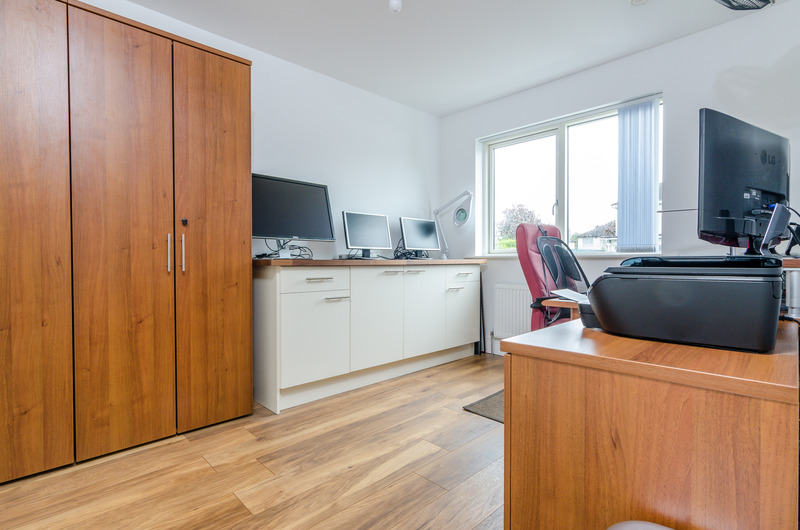 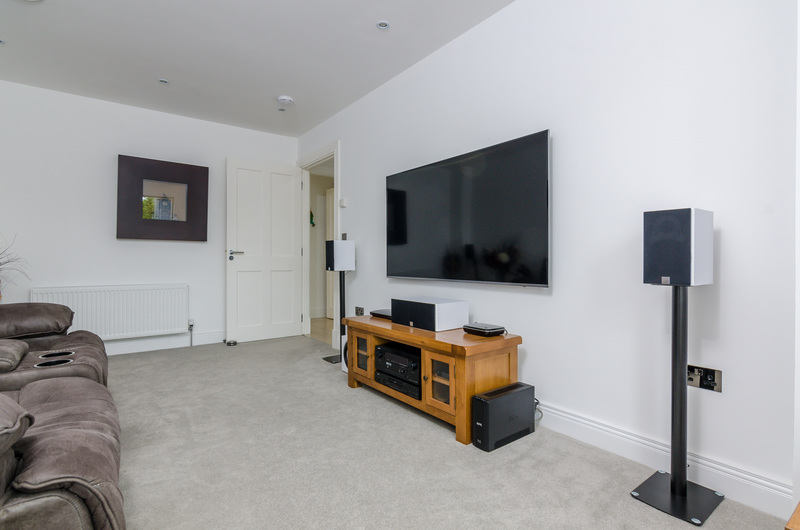 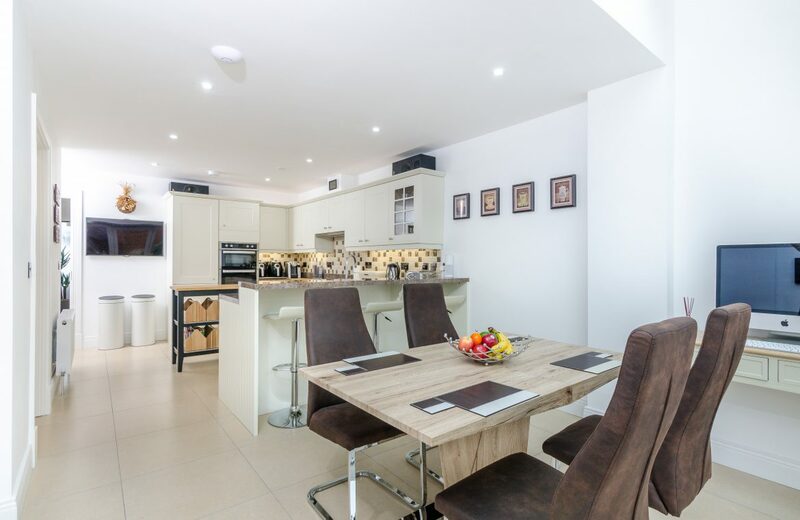 Furnished & presented to a VERY HIGH STANDARD by its current owners, with added spec of extra TV and network points in all bedrooms and family areas, all electrical outlets and switches upgraded to Black iridium metal, further upgraded lighting and additional power points & sockets. Sky dish with combined freesat LNB, DAB antenna and Saorview antenna. 90mb broadband verified connection available from Eir/Sky or 360mb digital broadband available from Virgin. Long range enterprise class WiFi access points & Network switch gear and TV distribution amplifier. 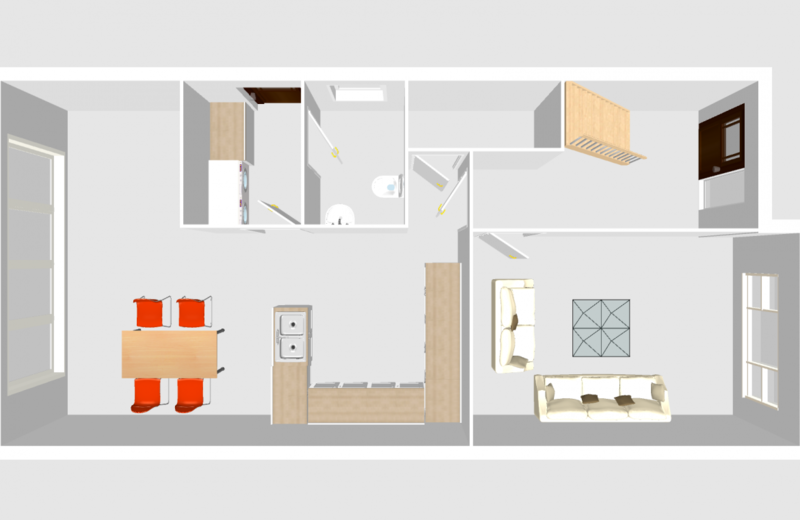 An ideal opportunity for those looking for a beautiful home easily accessible to all amenities. 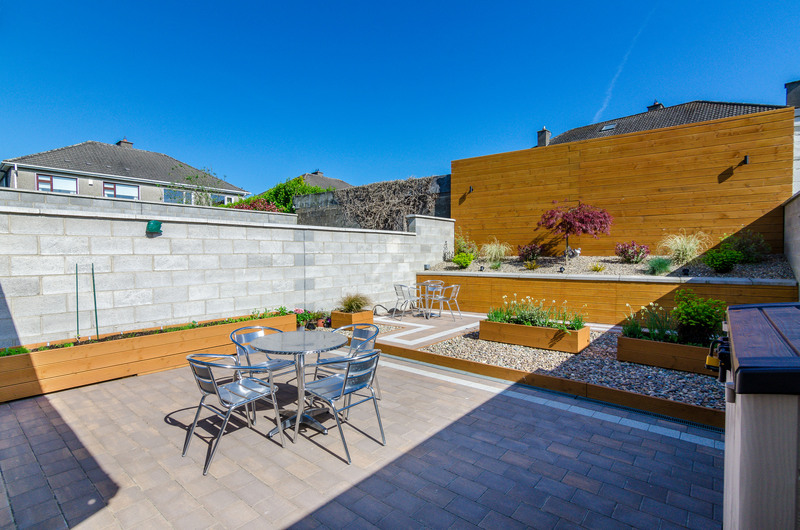 The front & rear garden is also a wonderful asset to the property, with a cobble stone driveway & parking for up to 4 cars. 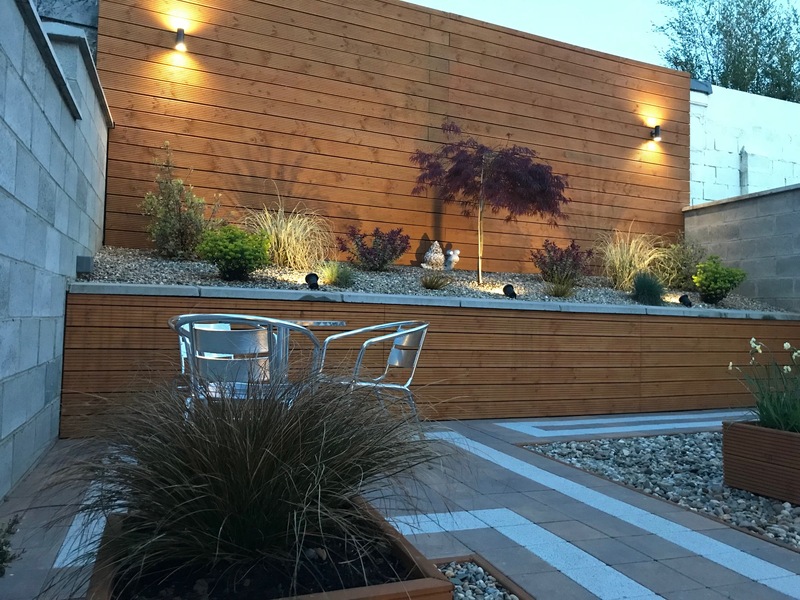 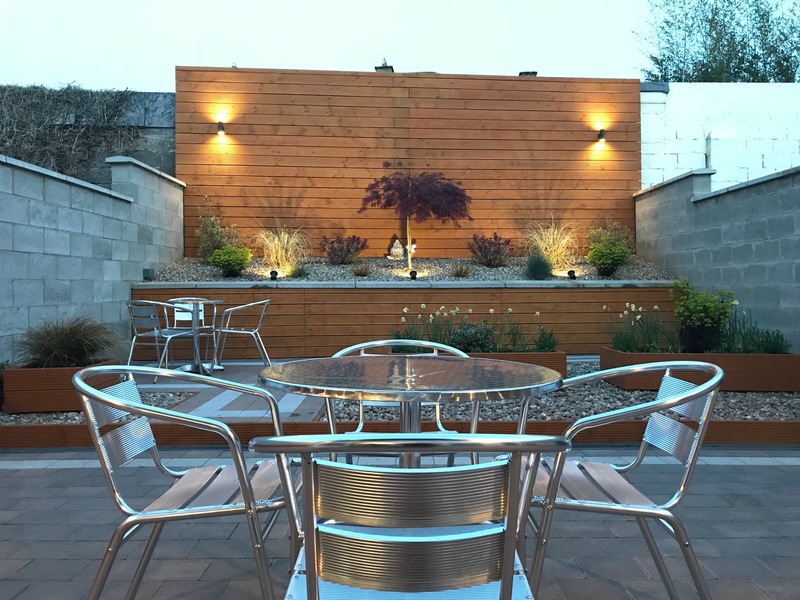 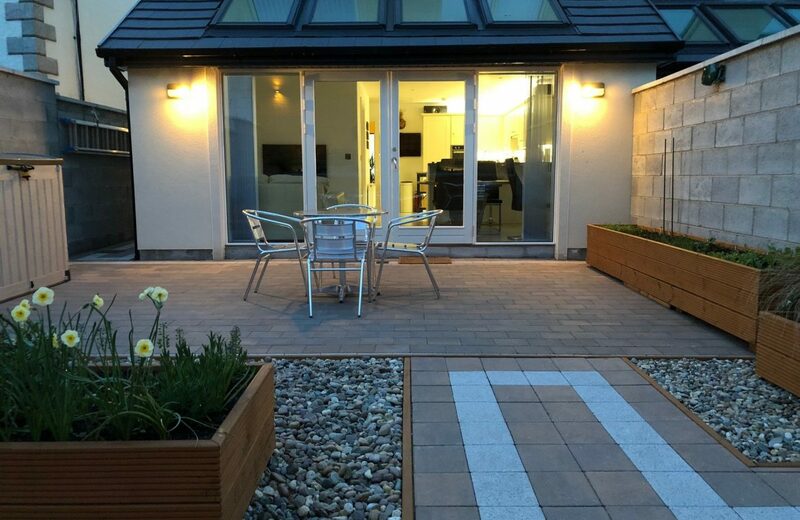 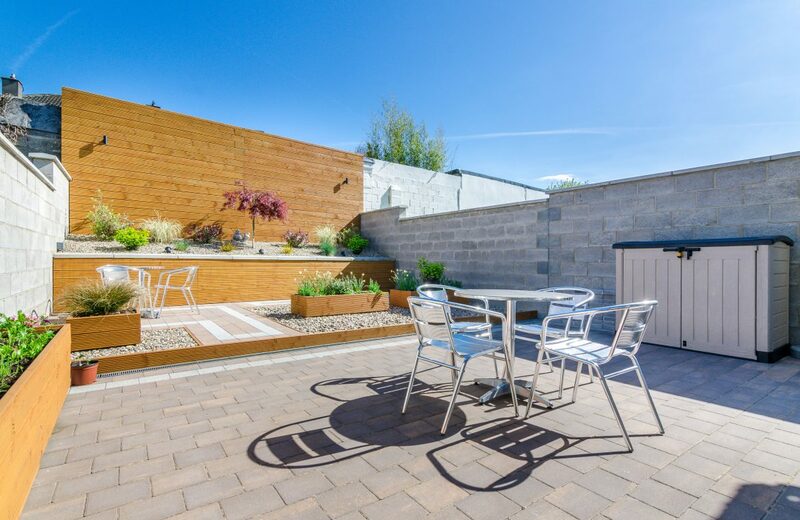 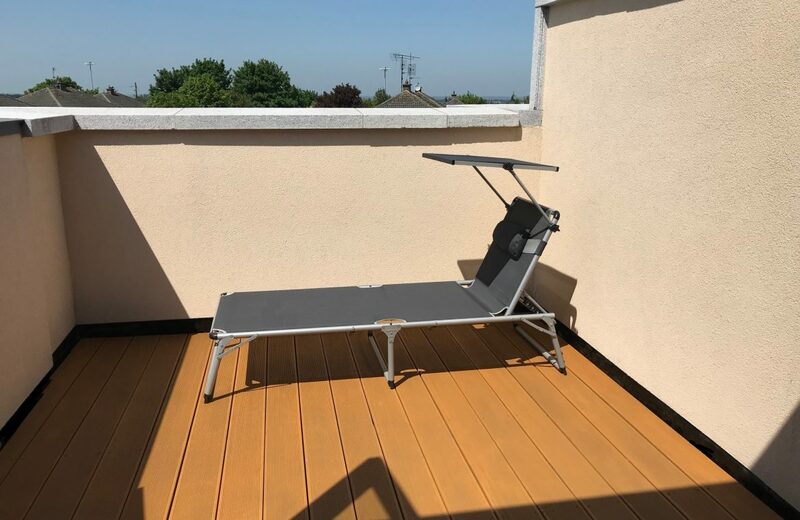 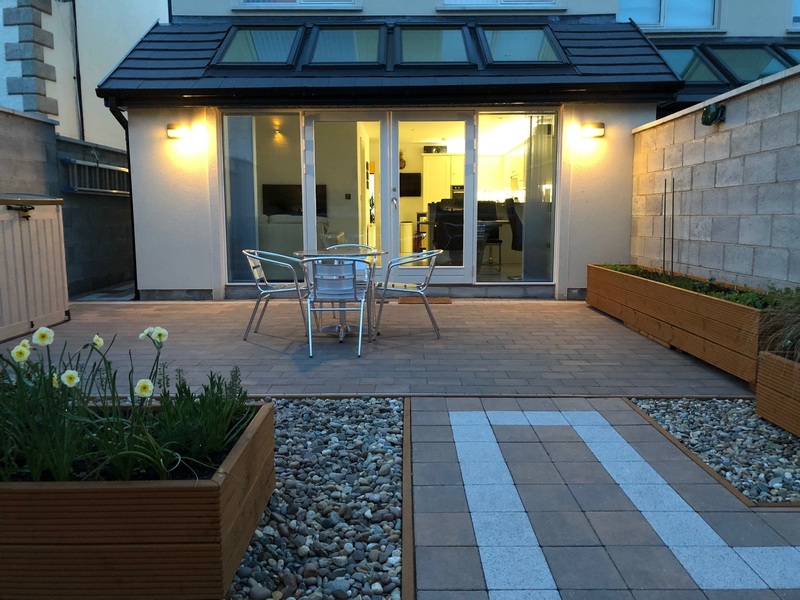 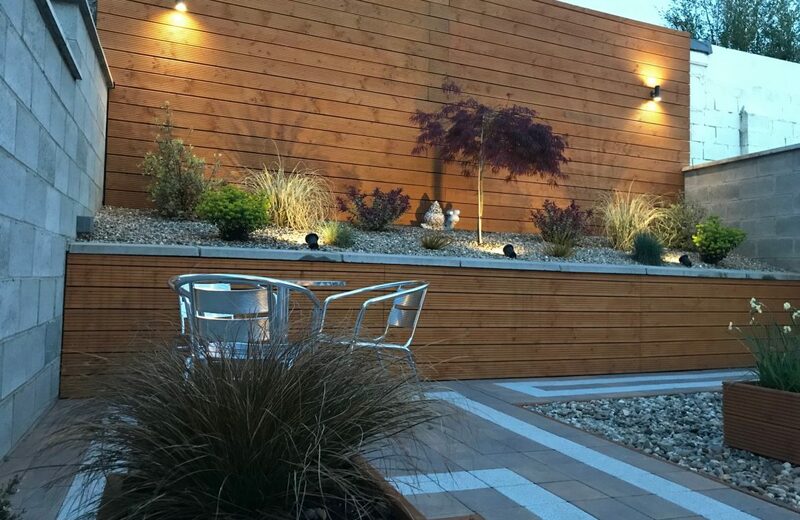 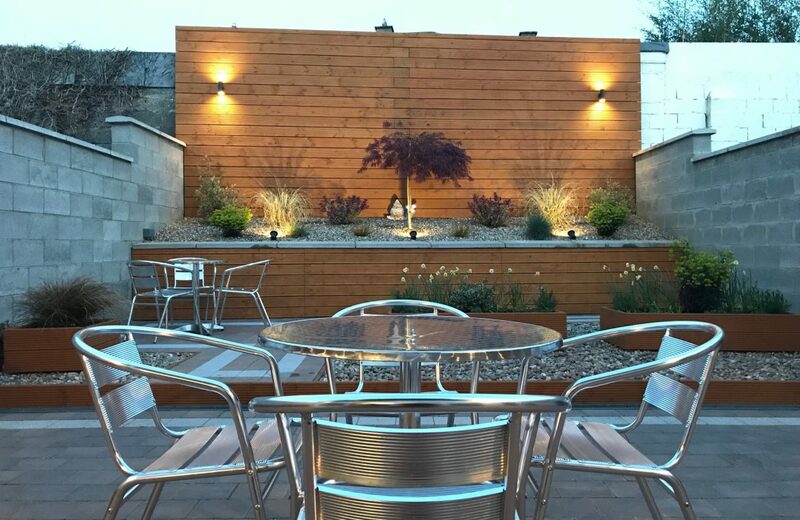 A beautifully landscaped, maintenance free rear garden with two seating areas, lights and power outlets in rear garden. 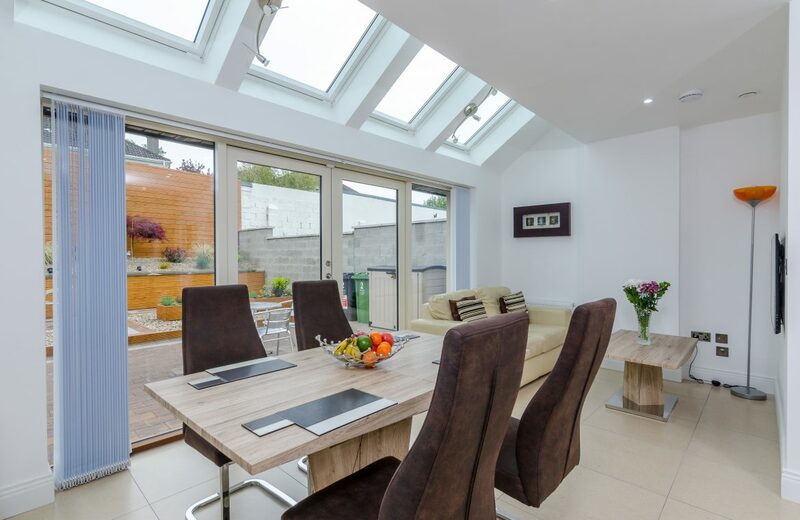 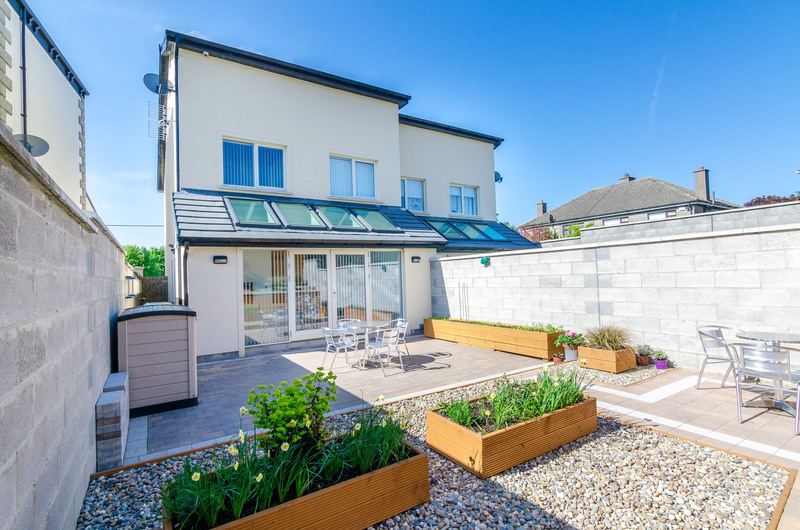 This wonderful home further benefits from solar panels for all year free hot water, a high efficiency Gas boiler & extra storage over the standard spec, a heat recovery ventilation system which supplies fresh air and reduces condensation, with high-performance double-glazed Carlson windows & High definition CCTV with 4 cameras for maximum security. 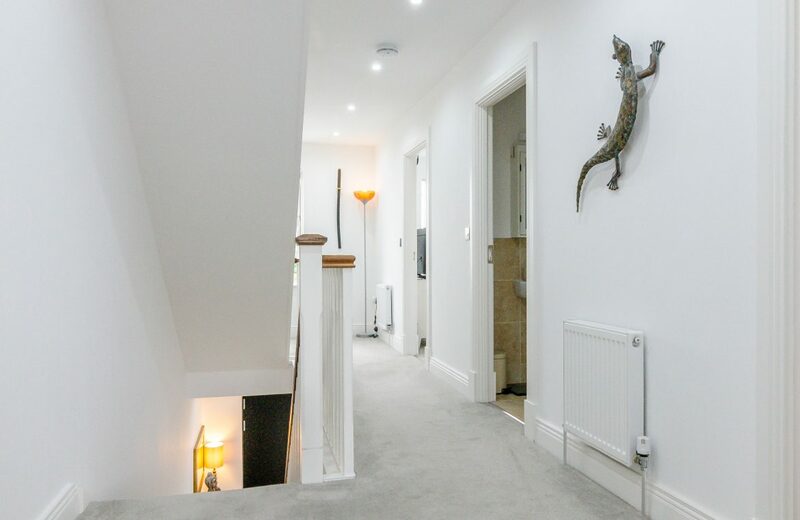 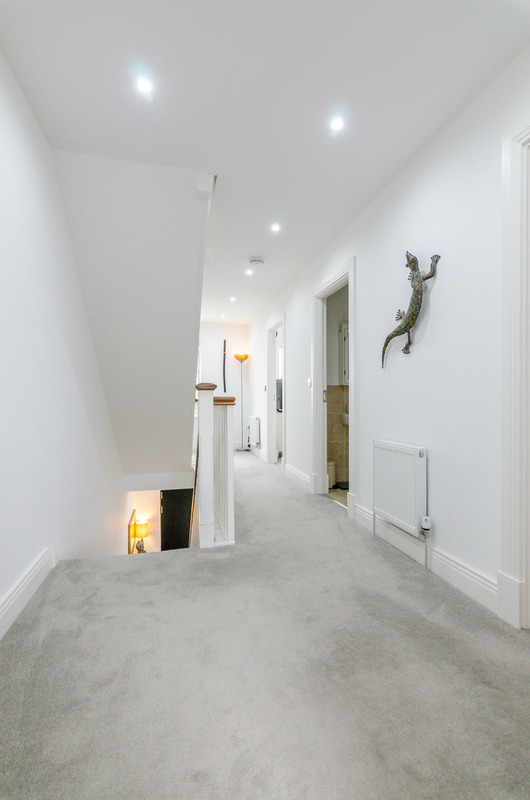 The property is within close proximity to excellent primary & secondary schools, shops and award winning restaurants. 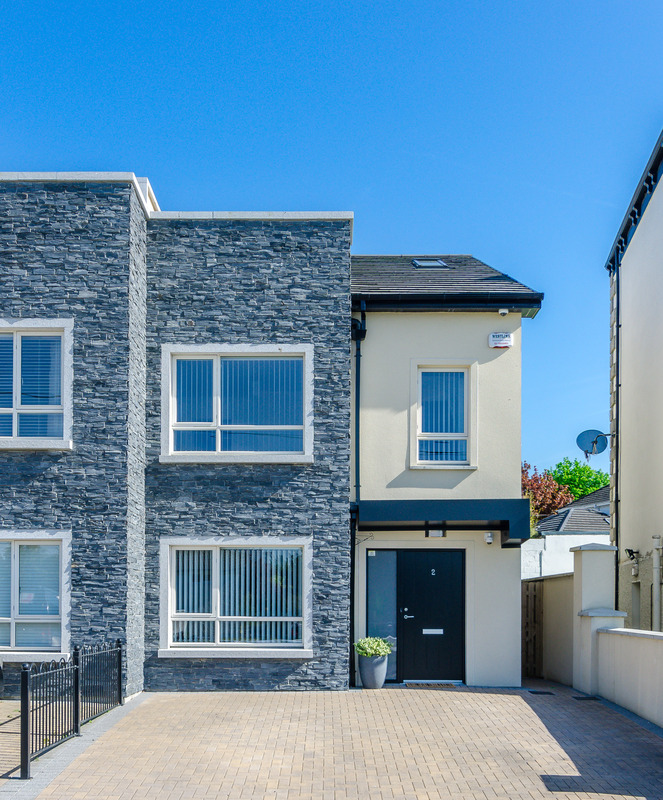 This is an opportunity not to be missed! 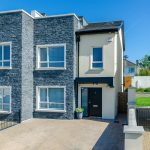 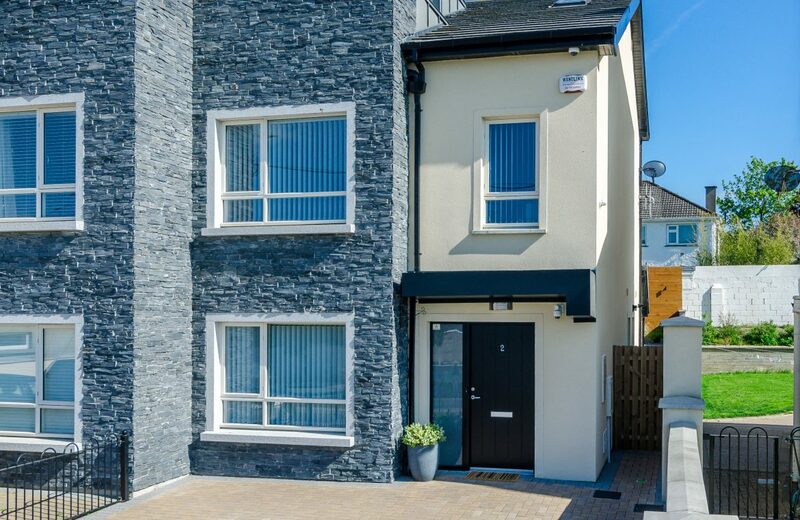 Just one minute from the N7 with no town congestion, this wonderful home is ideally located in the heart of Rathcoole Village and is within easy access to all local transport links including the 69 Dublin Bus Route and the Red Line Luas stop situated in Saggart (just minutes drive from Rathcoole Village). 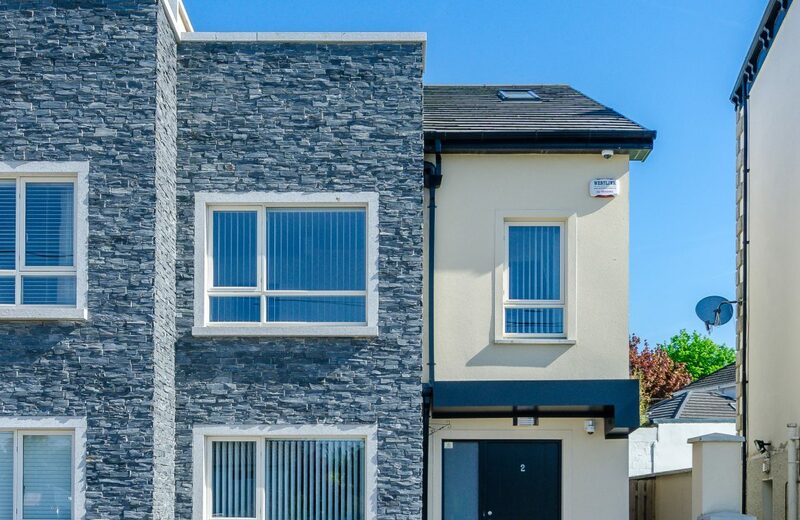 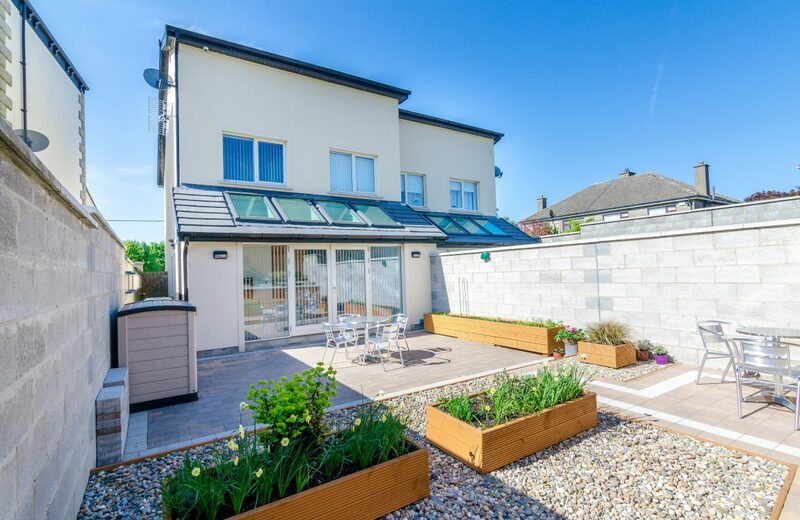 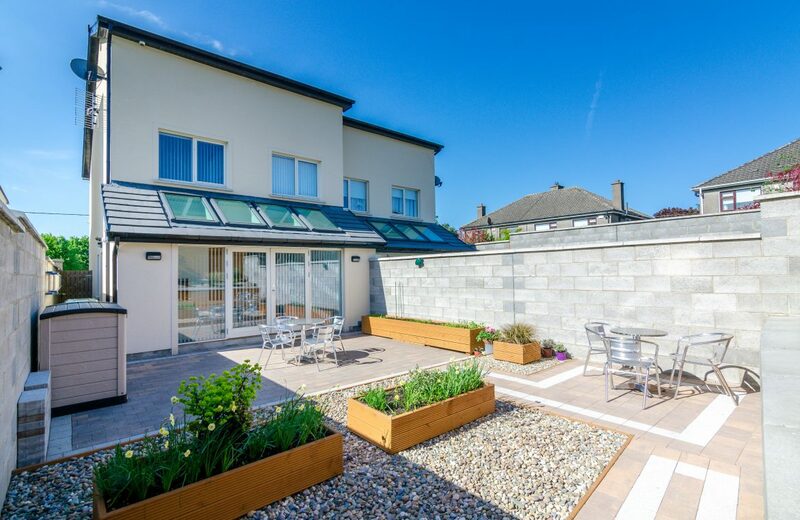 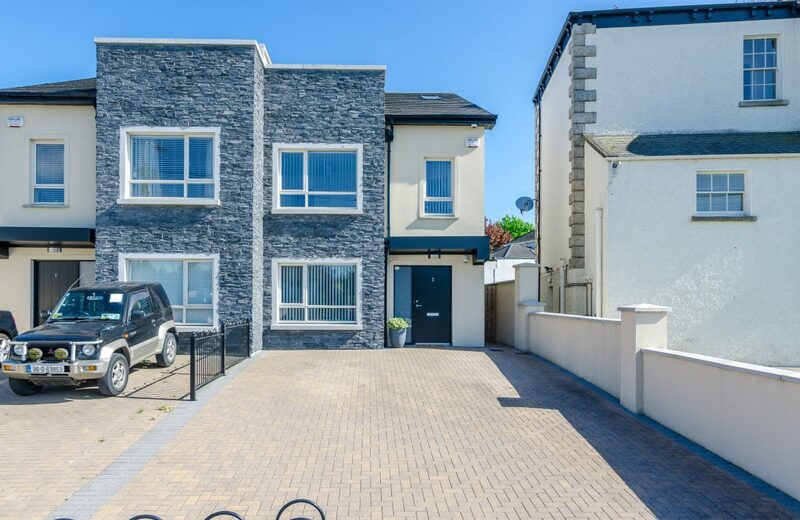 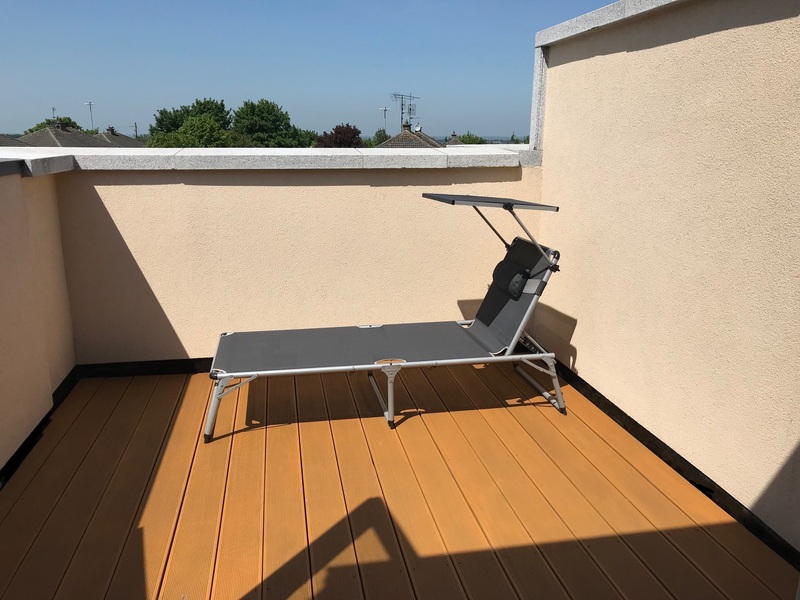 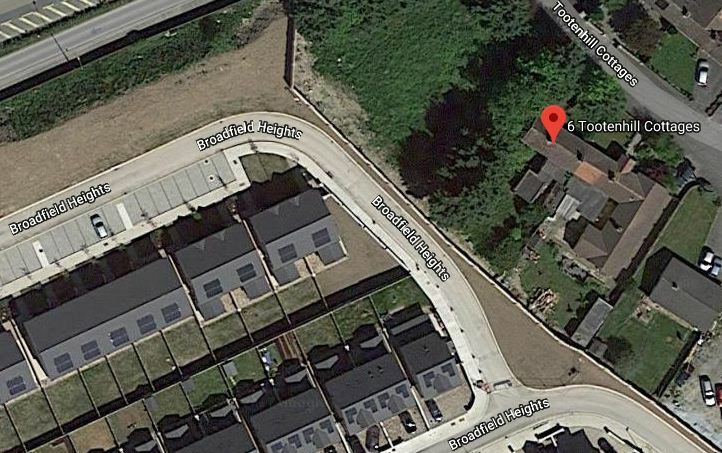 The property is within close proximity to the N7 and M50 Motorway providing an easy commute to Dublin City Centre & surrounding areas, Shopping Centre’s such as Citywest Shopping Centre & Liffey Valley Shopping Centre are all close by, this wonderful property hosts an abundance of amenities just at your doorstep! 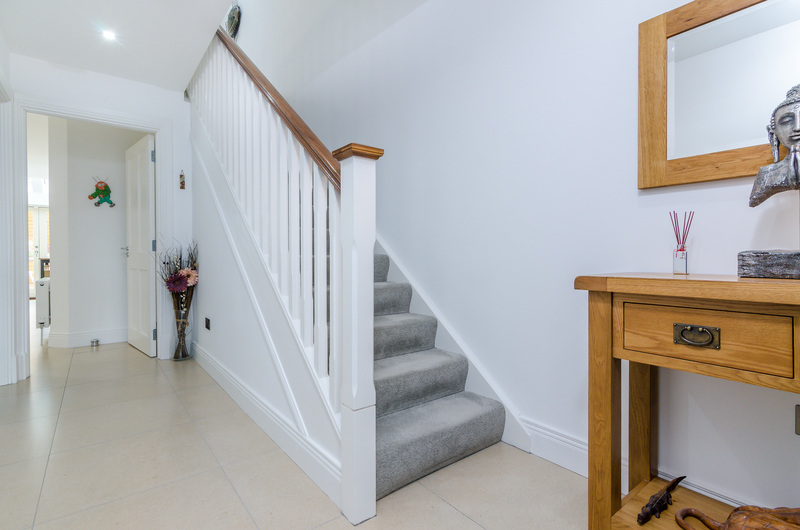 Reception Hall: (1.8m x 5.02m) tiled floor with carpet stairs. 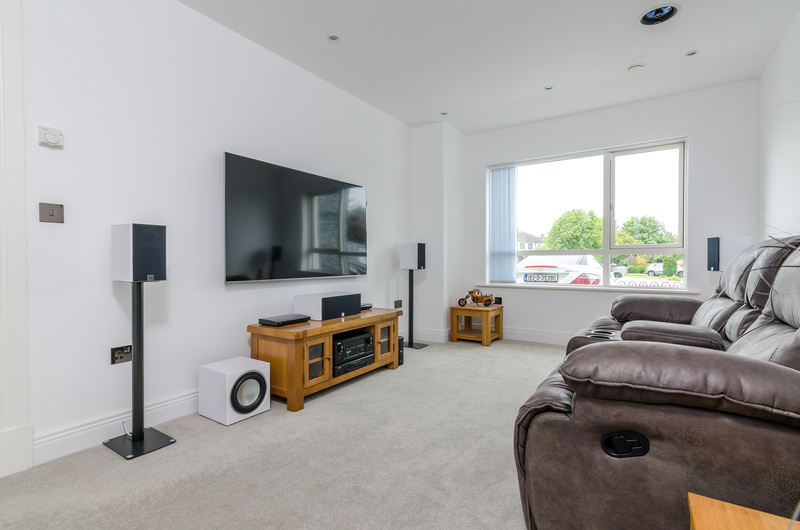 Living room: (3.99m x 5.91m) with carpet floor, cabled for Dolby Atmos with ceiling speakers. 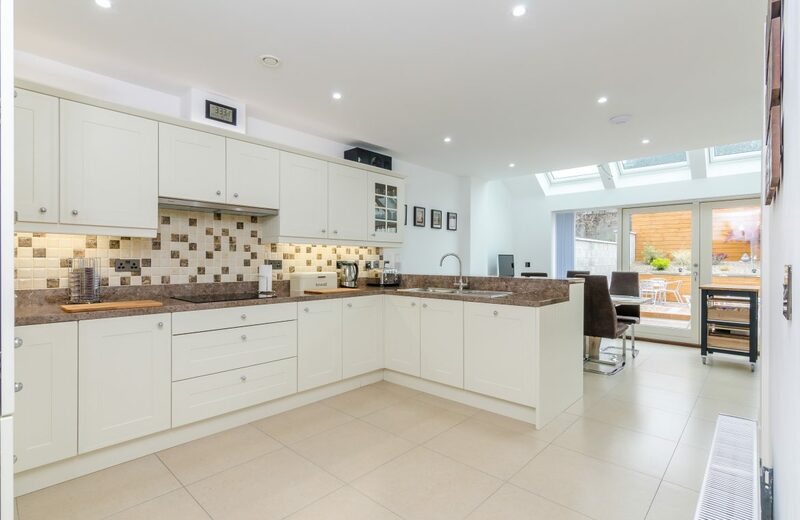 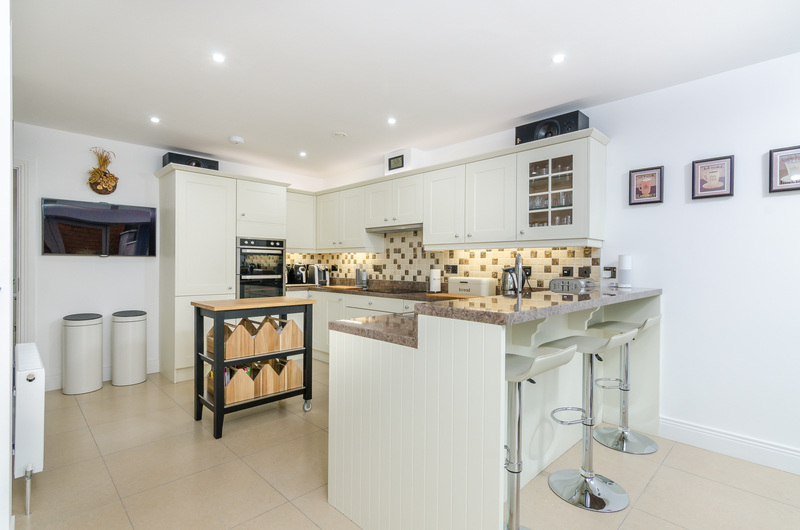 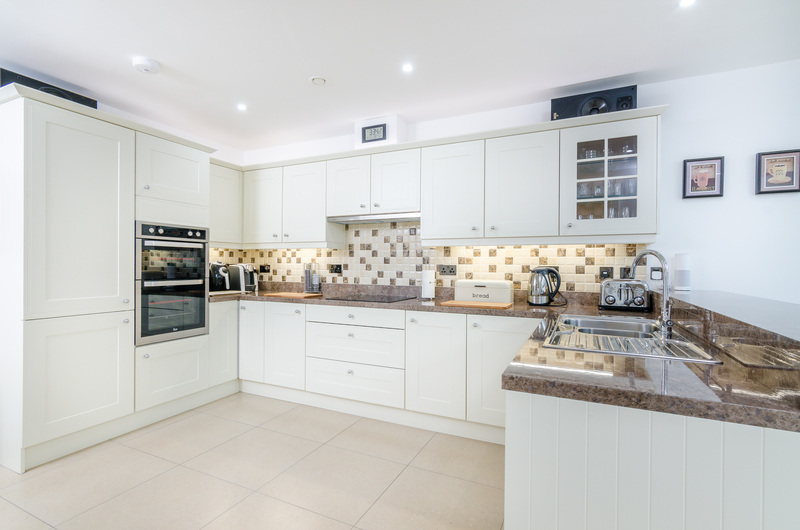 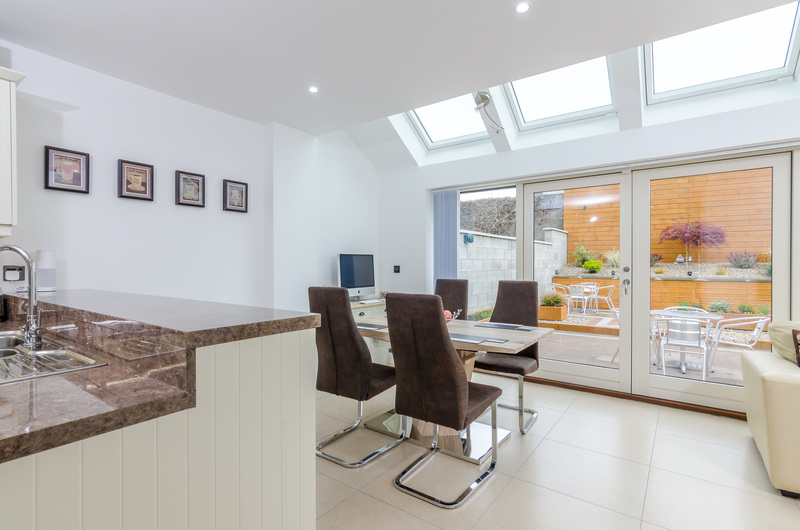 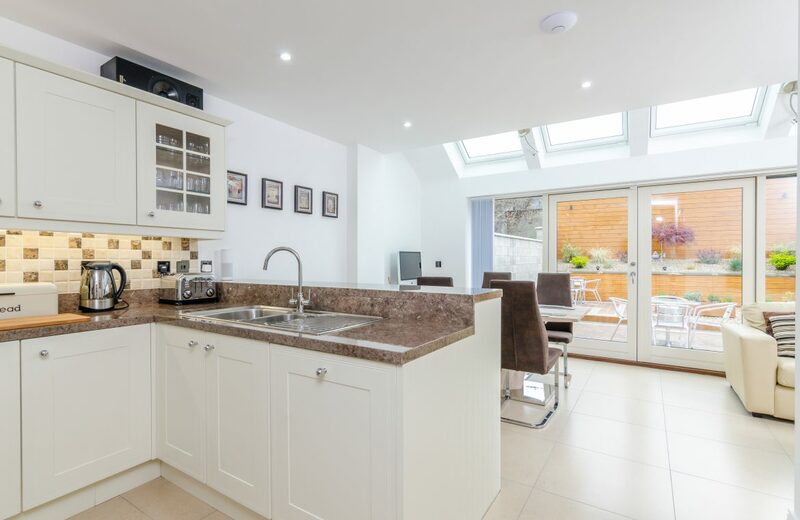 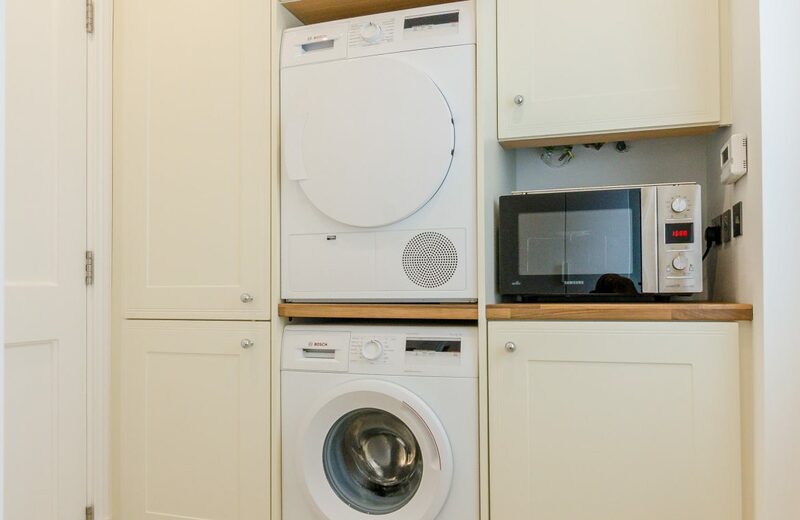 Kitchen/Dining area, : (7.31m x 5.91m) with tiled floor, recessed lighting, solid cream wood press units, drawers, saucepan drawers, worktops, tiled splashback,stainless steel sink unit, double door leading to rear garden. Guest W.C: tiled floor, wash hand basin, w.c & built in storage press. 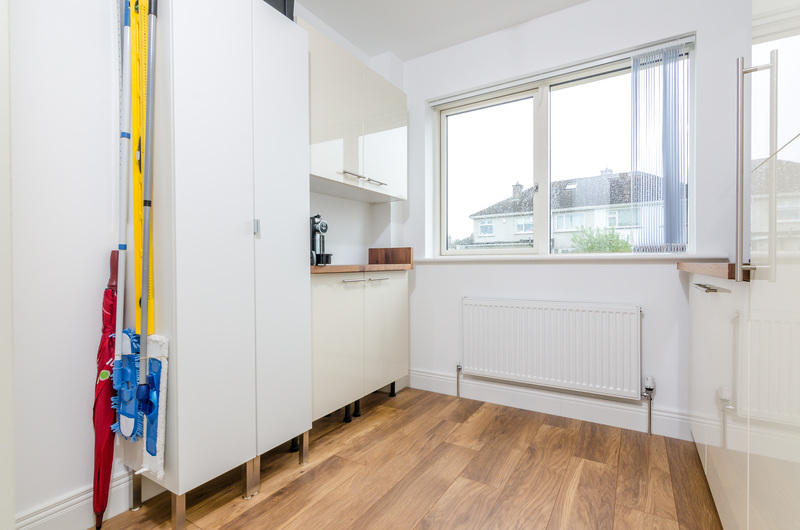 Utility: Tiled Floor, built in storage press. 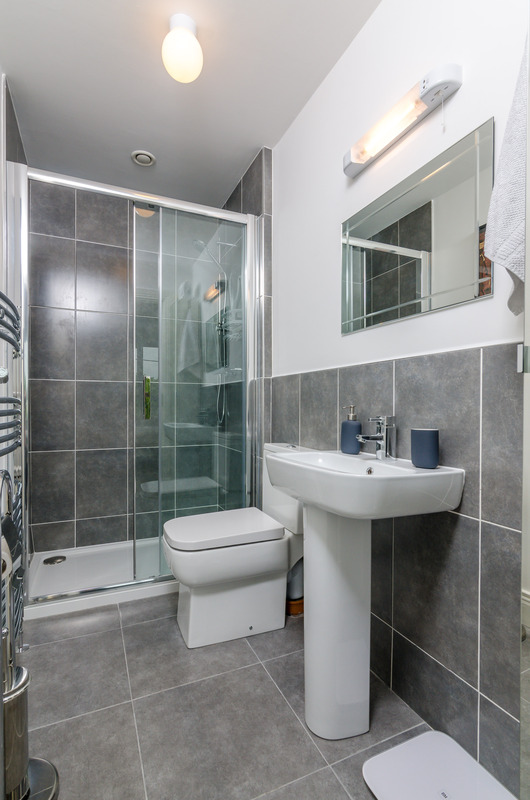 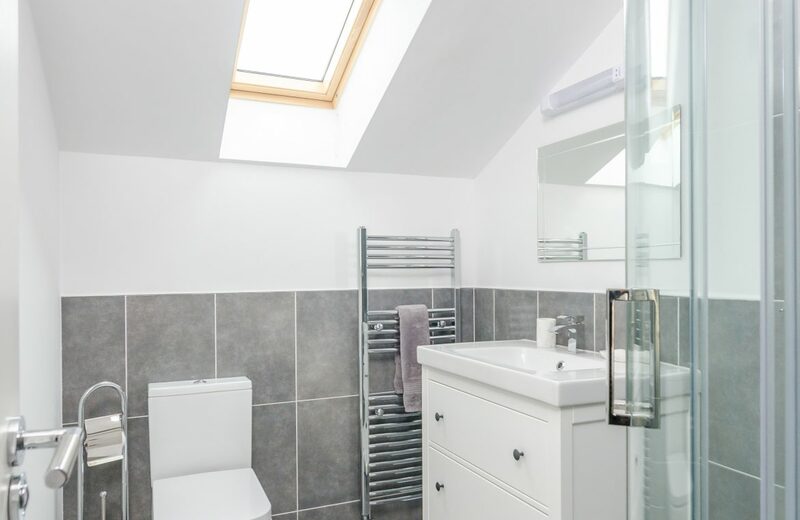 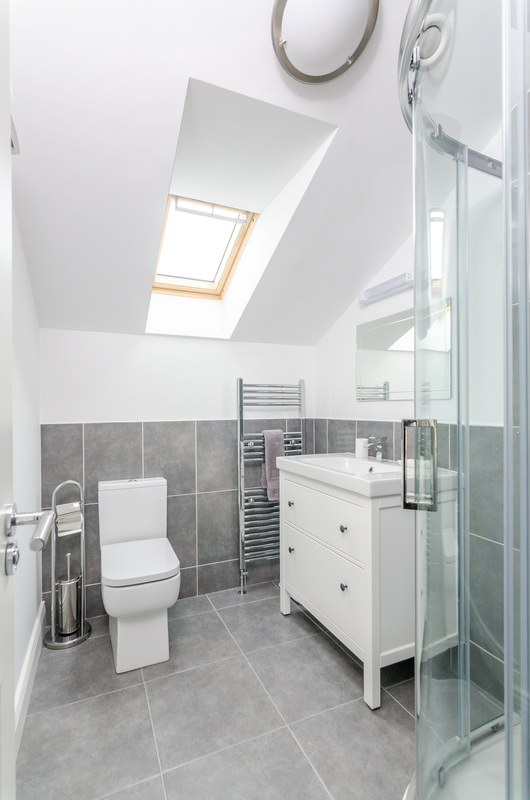 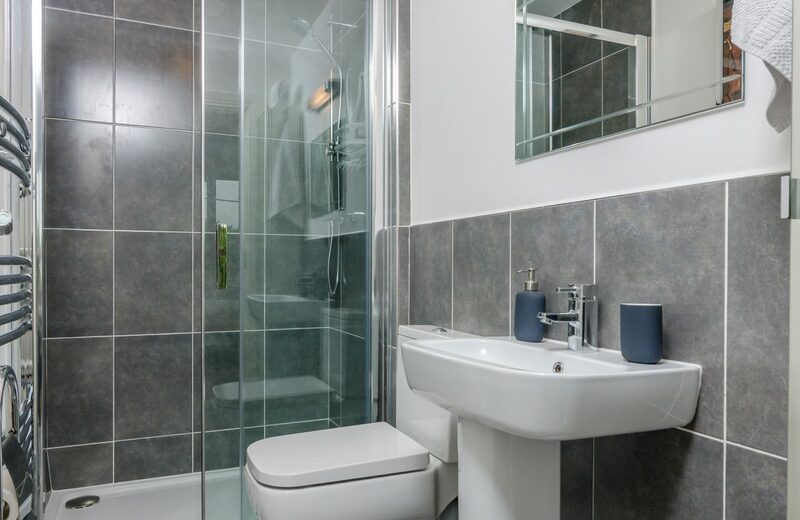 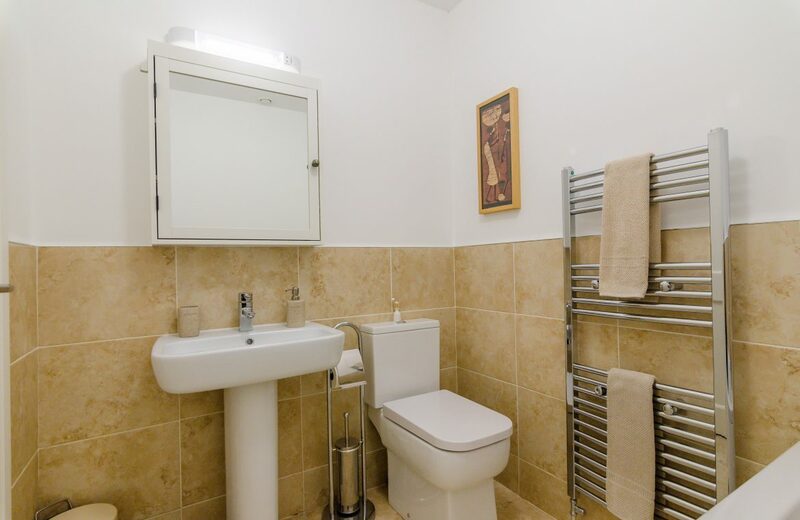 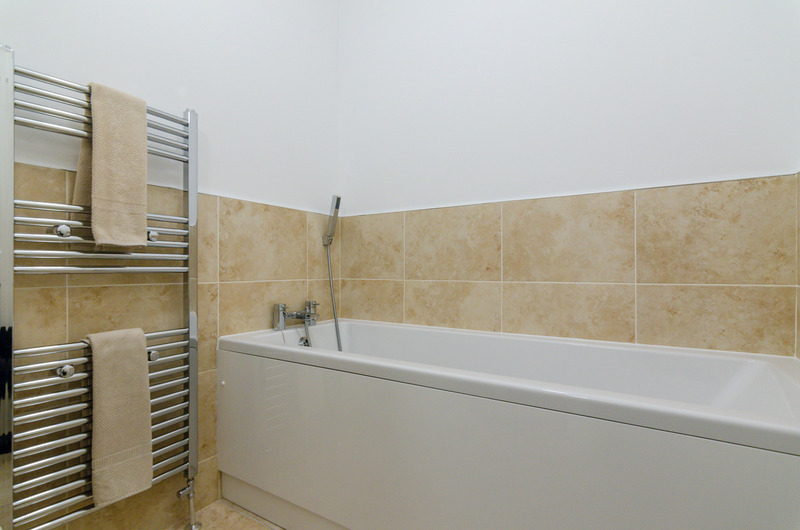 Bathroom: (2.06m x 1.8m) bath unit, w.c. pedestal wash hand basin, large towel radiator, fully tiled floor & part wall tiled. Bedroom 1: (3.09m x 3.54m) double bedroom with carpet floor & built in wardrobe door to ensuite. 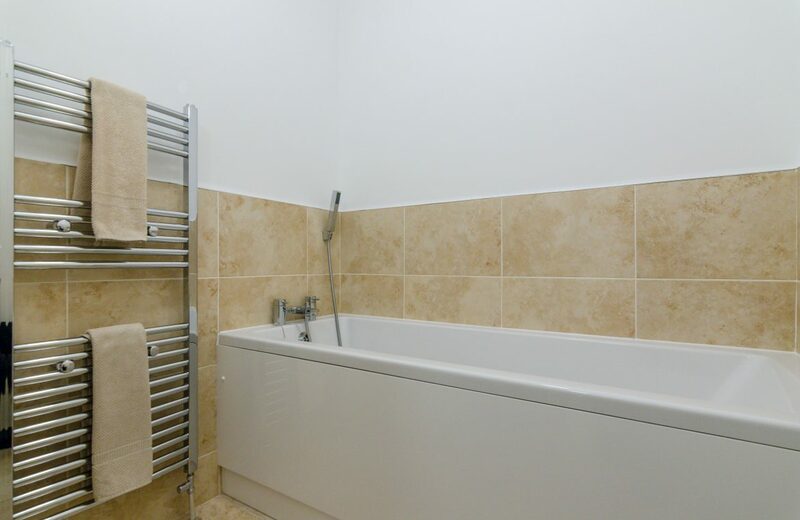 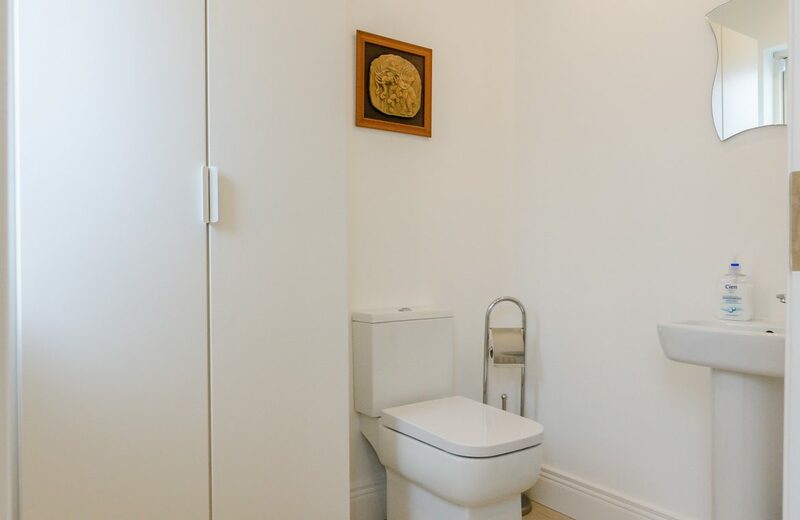 Ensuite: (2.72m x 1.41m) tiled floor, part wall tiled, shower cubicle, towel radiator, w.c, wash hand basin. Bedroom 2:(4.54m x 3.18m) double bedroom with wooden floor & built in wardrobe. 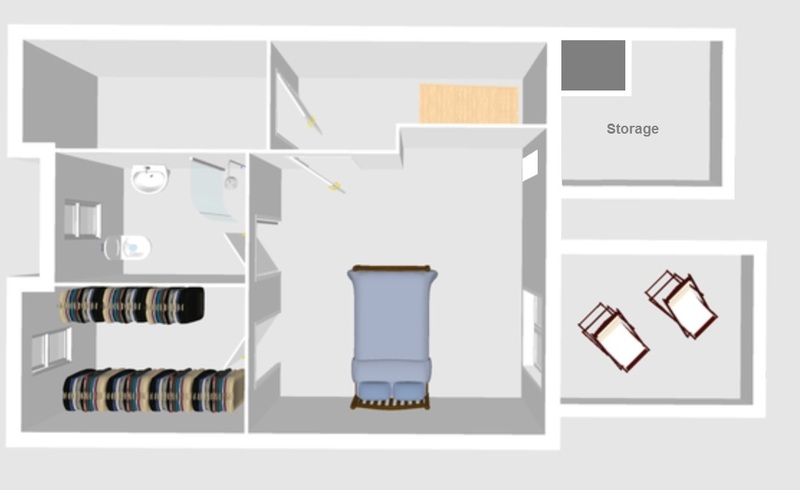 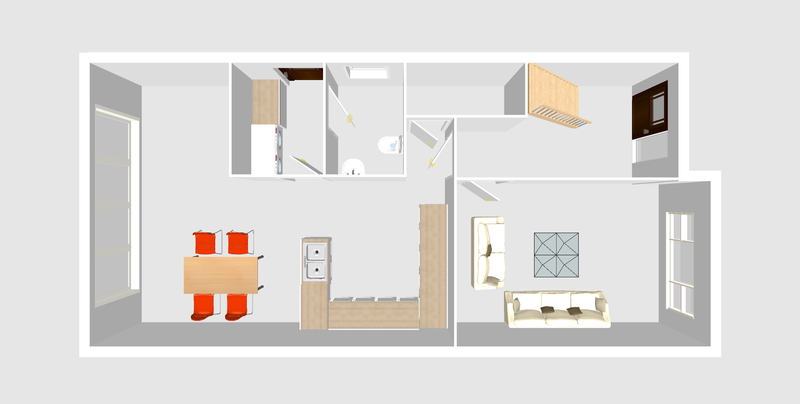 Bedroom 3: (2.01m x 2.95m) – neat bedroom, with built in wardrobe & wooden floor. 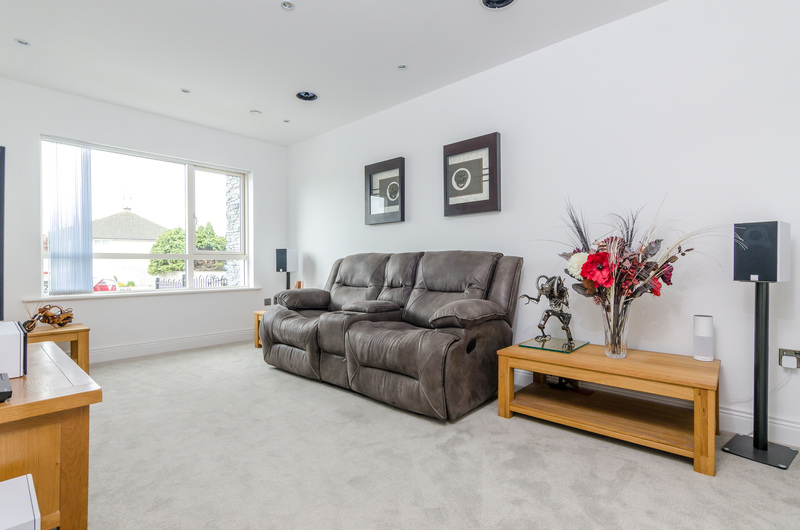 Landing: (3.33m x 1.38m) carpet floor. 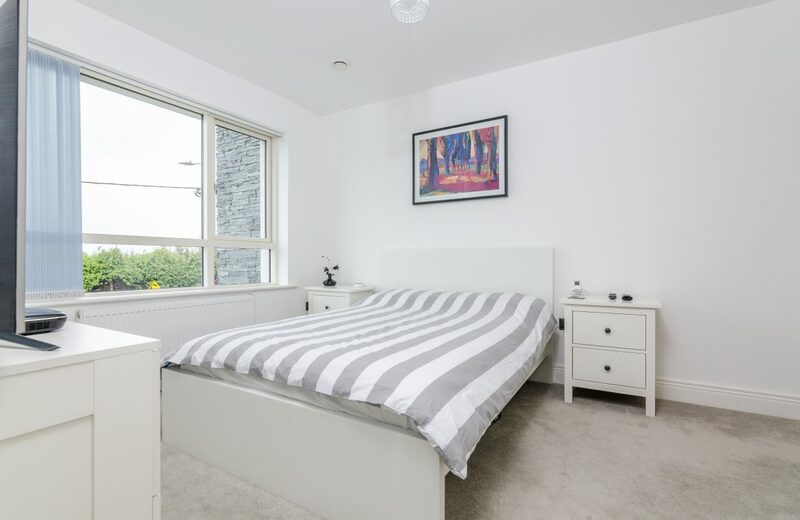 Bedroom 4: Large Bedroom, carpet floor with Walk in Wardrobe: (4.10m x 3.88m) carpet floor & large Ensuite: (2.43m x 1.74m) tiled floor, part wall tiled, corner shower cubicle, wash hand basin., w.c. Balcony: (2.51m x 3.45m) with decked flooring. 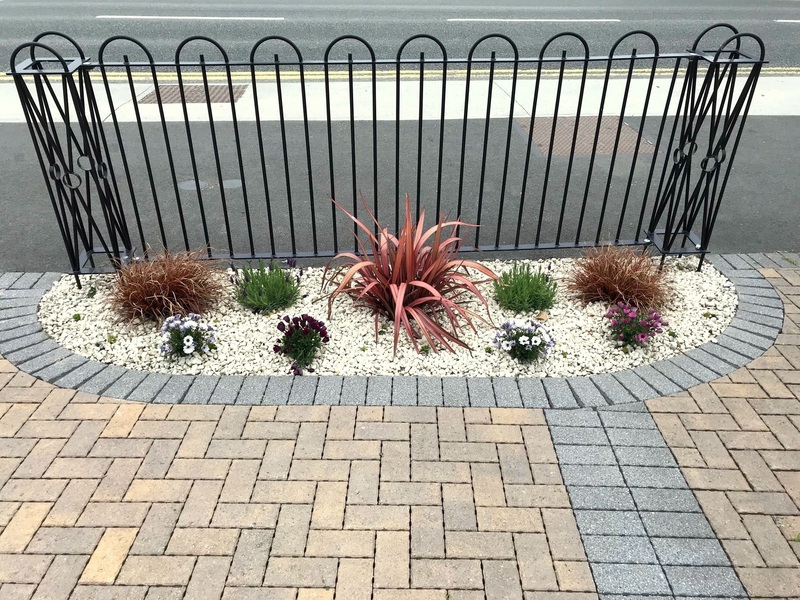 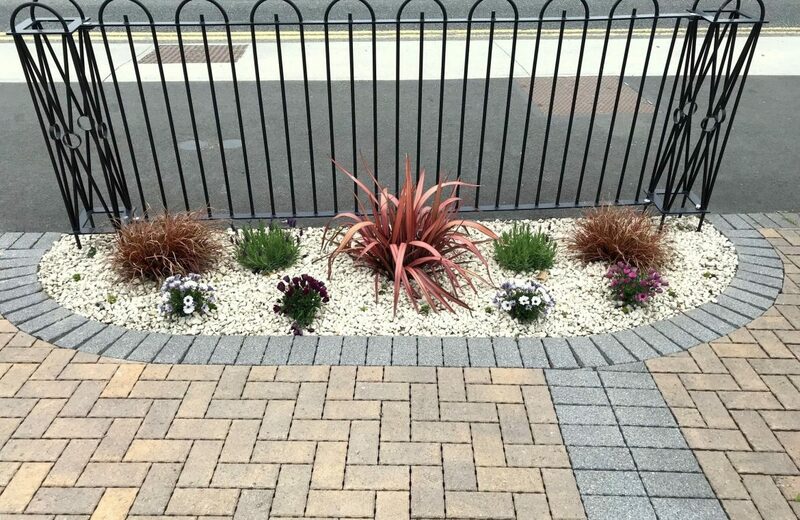 Front Garden: with cobble finish enjoying excellent car parking for up to four cars to the front & side entrance to access the rear. 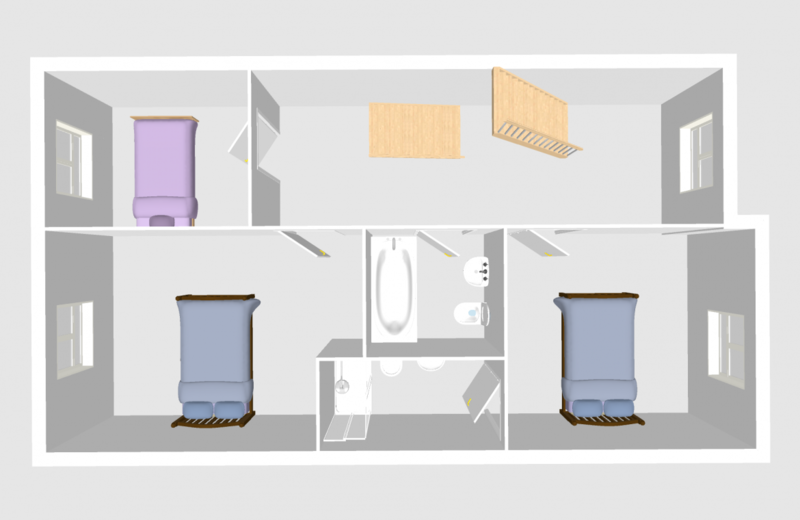 >> HIGH ENERGY CONDENSING BOILER AND SOLAR PANELS. 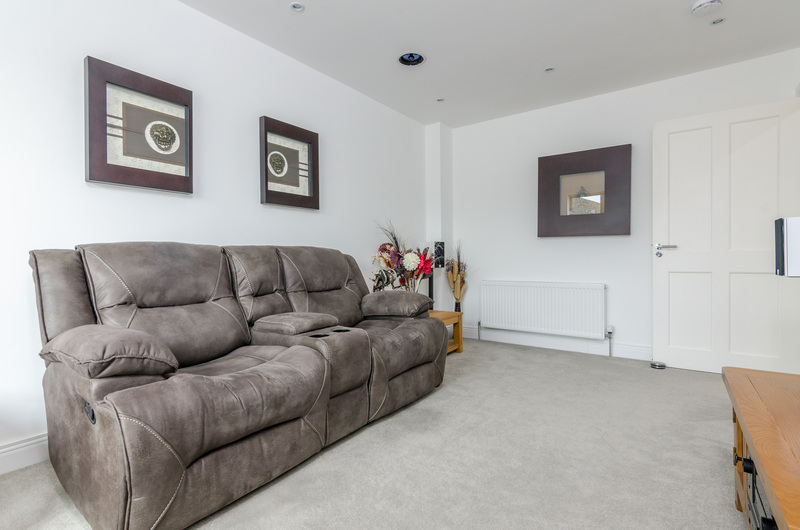 >> HIGH DEFINITION CCTV FOR MAXIMUM SECURITY. 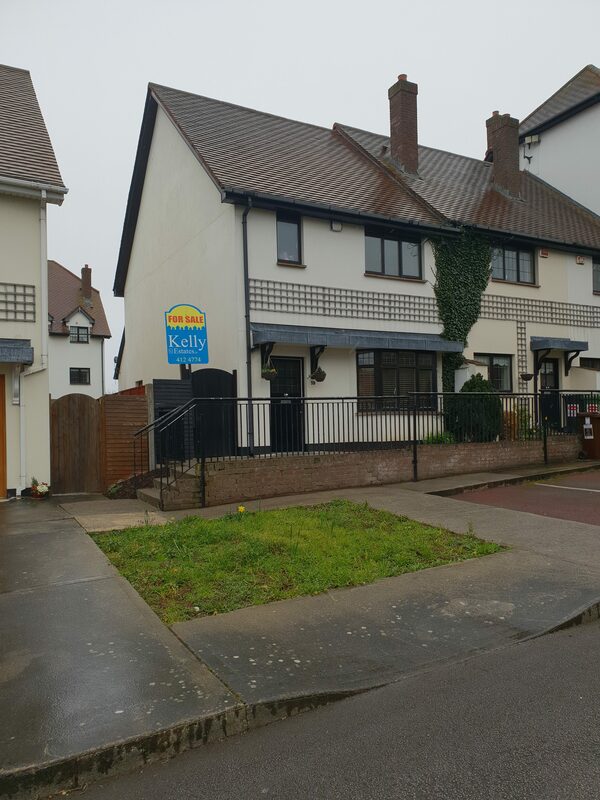 >> A RATED SEMI DETACHED HOUSE. 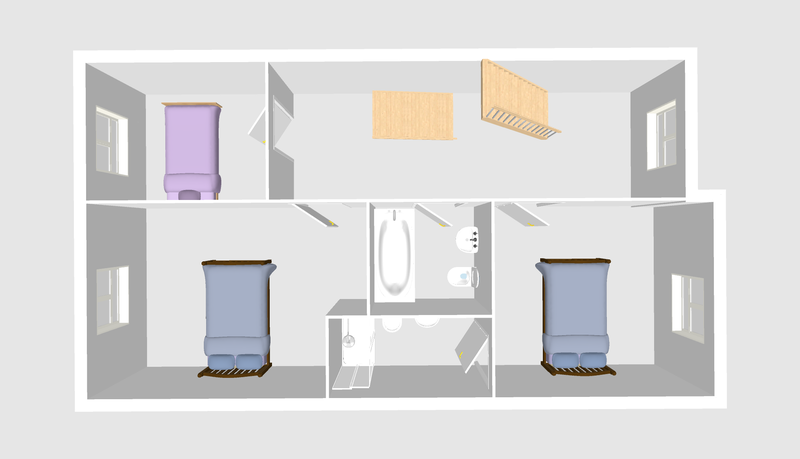 >> HEAT RECOVERY VENTILATION SYSTEM.